Joey Fontenot, CMPE, BS, RT, (R,N), serves as chief operating officer for Cardiovascular Institute of the South. A native of Lafayette, Louisiana, he brings more than 27 years of healthcare management experience to the institute. Mr. Fontenot earned his Bachelor of Science in Business Administration from Kennedy Western University, graduated from Charity Hospital of New Orleans in Radiologic Technology and graduated from Ochsner Foundation School of Allied Health in Nuclear Medicine. He holds national registries and certifications in radiology and nuclear medicine technology. Mr. Fontenot is a Certified Medical Practice Executive (CMPE), having earned this credential from the American College of Medical Practice Executives (ACMPE). Prior to joining CIS, Mr. Fontenot was employed by Terrebonne General Medical Center (TGMC) in Houma, Louisiana. There he was responsible for radiology and special imaging, neurology and oncology services as well as physician practice management for neurosciences. Under his direction, the hospital developed multiple new services, including image-guided neurosurgery and a gamma knife neurosurgery program. Mr. Fontenot has served on several national advisory committees for group purchasing organizations and leading industry manufacturers. A former president and chairman of the board for the Louisiana Society of Radiologic Technologists (LSRT), he continues to serve on several local community boards. Mr. Fontenot is a member of the Medical Group Management Association (MGMA), American Society of Radiologic Technologists (ASRT), Society of Nuclear Medicine (SNM) and is a founding member of the Society of Cardiovascular Computed Tomography (SCCT). 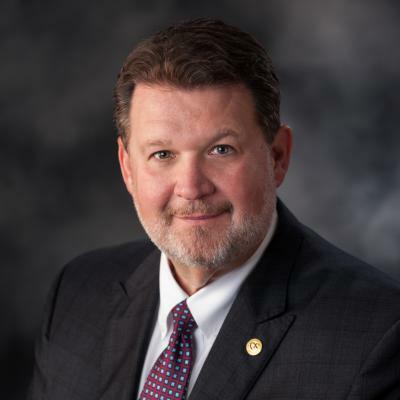 He has also received several awards including the Mallinckrodt Medical Award for Excellence and was named Outstanding Technologist in Louisiana in 1999.